Get ready for DesignerCon by planning your day with the schedule. Please note this does NOT include all booth signings and event. 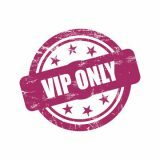 Friday, November 16th is VIP Night. Only VIP ticket holders will be allowed to enter the hall this evening from 5pm – 9pm. All vendors will be open and exclusives will be available to VIP attendees this evening. VIP ticket holders get into the hall 1-hour before General Admission. Party Ticket holders get to party with us! We have Secret Walls doing a live art battle with some of the best street artists in the scene. Then we rock and roll with the one and only Chevy Metal! Now that you know the schedule of events here are a few things that you should know about this years show. Don’t miss your favorite artist or company at the show, check out the entire list of vendors that will be at DesignerCon. Need a hotel for the show? Want to know where to get food? Get all the general information for the show right here.